What a property! Located at the transition from the crop fields in northern Cheyenne County to the breaks along the south side of the North Platte River in southeastern Morrill County. 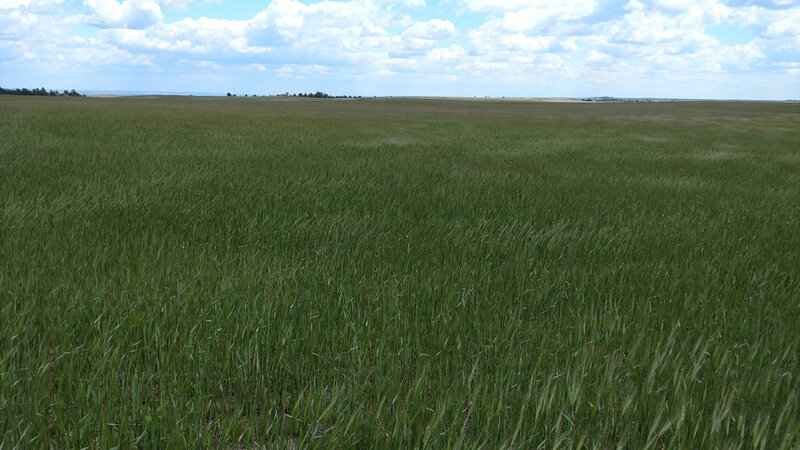 This property has good county road access 13 miles east of Dalton, NE. 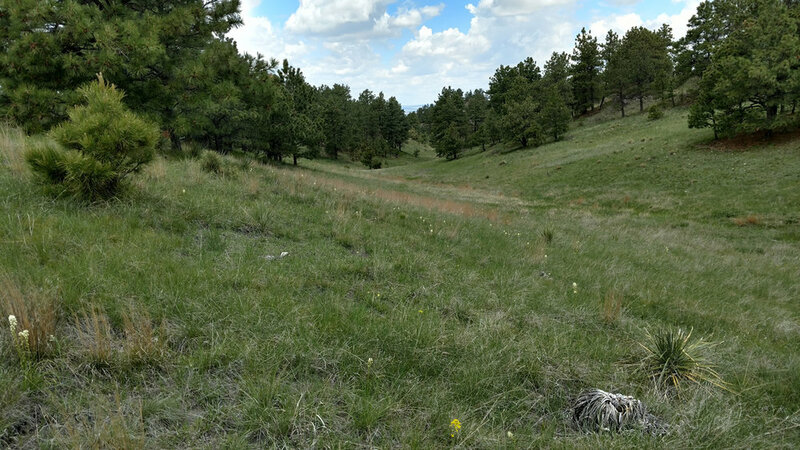 This property offers hunting and cattle ranching opportunities. What a property! Located at the transition from the crop fields in northern Cheyenne County to the canyon breaks along the south side of the North Platte River in southeastern Morrill County. This property has good county road access 13 miles east of Dalton, NE. 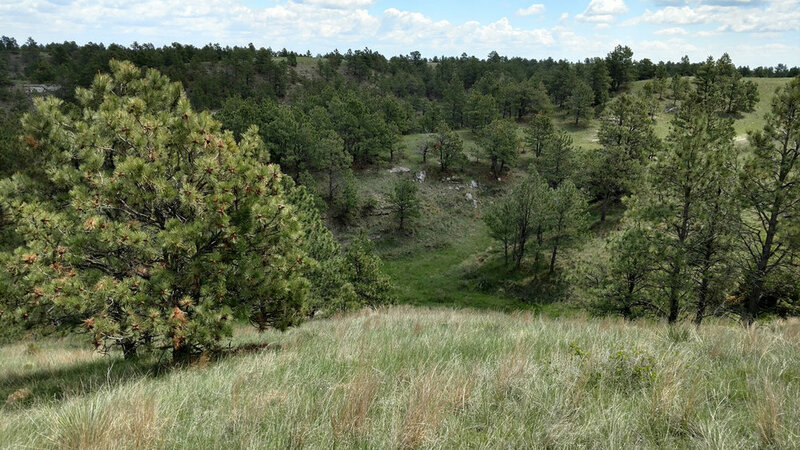 The pine covered canyons in the northern portion of the property offer tremendous recreational opportunities that include hunting for mule deer, turkey, pheasant and other upland birds. 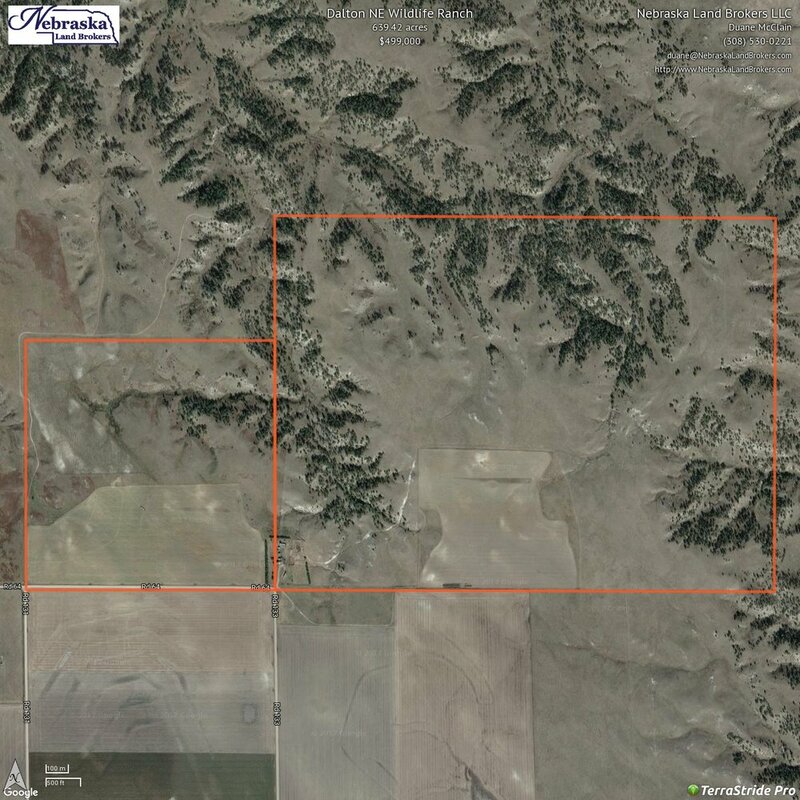 Potential for ATV trails and camping with tremendous views of the North Platte River valley. 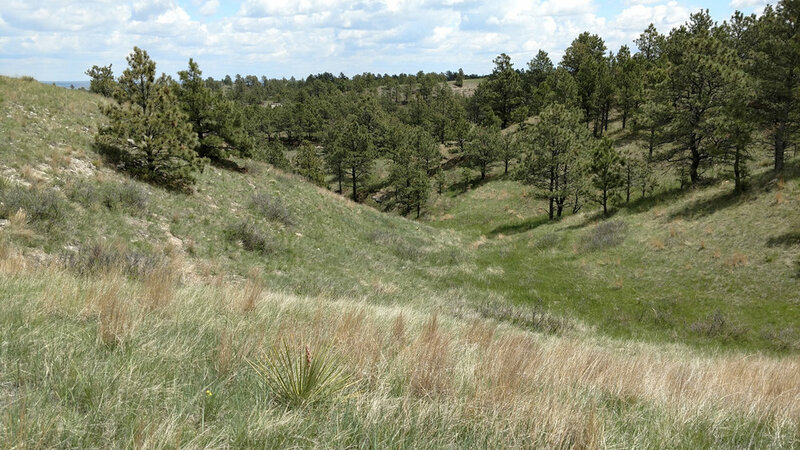 Elk do habitat this property which is located in the North Platte Unit for Nebraska Game and Parks elk hunting. Opportunities for land owner permits are available in the Game & Parks lottery process. A modest home and out buildings are located at the county road access point in the south center of the property. The property has been owner operated as a cattle grazing ranch on the 505 acres of hard land grasslands and non-irrigated farming on the 131 acres of cropland. Located in southeastern Morrill County access to the ranch is 10 miles east Dalton, NE on County Road 58 the north 3 miles on County Road 133.